How did Fred Hahn get to be the leanest and most muscular he's ever been, at the age of 56 years old? Find out and listen to more nuggets of wisdom he shared with us when we met him at SlowBurn Personal Training Studios NYC. Those of you who have already read the blog post overviewing our recent trip to the US will know that we got to meet up with some great individuals and business owners from within the HIT (High Intensity Training) community. This is the initial post in a series of more in-depth articles about each of the people that we got to meet, first up: Fred Hahn. Fred has had a passion for exercise ever since he became a member of The Charles Atlas Club when he was 10 years old. Flash forward to the early 1980’s: Fred was pursuing an acting career in New York when he decided that instead of waiting tables between jobs he would leverage his interest in exercise to help others. He found a job as a gym floor manager/personal trainer at the New York Health and Racquet Club, which happily had a line of Arthur Jones’ Nautilus machines. This was during the golden era when Nautilus equipment and a high intensity ethos was dominating the health club and gym industry. In time Fred moved on to become a physical therapy aide at the Hospital for Joint Diseases Sports Medicine Center in NYC. The role saw him work with patients who had recently completed physical therapy, he developed 8-week strengthening programs based on slow tempo, high intensity resistance exercise to help these patients get fully functional again. This was the genesis for what would later become the Slow Burn method. In parallel he also took on personal training clients from the wider population at the large Equinox gym on 76th street. With these individuals he also utilized a similar high intensity protocol that had been working so well for the patients at the Hospital for Joint Diseases. It wasn’t long before the head of Orthopedic surgery at the hospital became aware of the impressive results patients were gaining whilst exercising with Fred. He insisted that Fred make some time to personally train him with these intriguing new methods. It went so well that by 1994, the two of them had co-founded Metro SportsMed, a private physical therapy clinic located at New York Methodist Hospital in Brooklyn and which now has multiple locations throughout the NYC area. In June 1998 Fred’s journey helping individuals get strong led him to another new venture: opening Serious Strength, the first Slow Burn facility, in Manhattan, at the same location as it stands today. More recently, in 2014 he opened his second facility in Montclair, New Jersey. Expansion, contraction…expansion? Can HIT attain the heights of the Nautilus days once again? 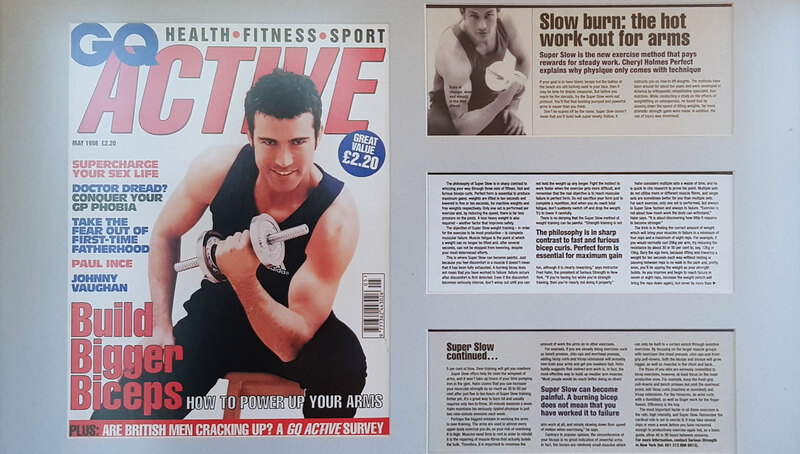 During the 1980’s, whether they knew it by name or not, many gym-goers in the US and further afield were regularly performing HIT (High Intensity Training) as they completed their Nautilus circuit 2 or 3 times a week. Although less dominant in the fitness industry today, Fred believes that HIT can have its time in the sun once again, pointing out that its’ influence never really went away. 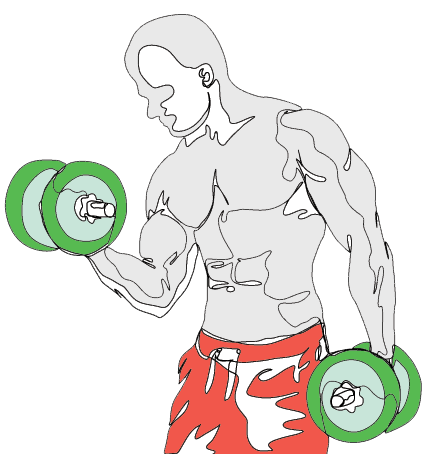 He emphasizes that weightlifting has always been a staple of any serious person’s exercise regime- but that the debate inevitably always arises as to how to do it right. The original Nautilus/HIT message has been somewhat diluted and eroded in the face of competing interests and fitness fads, partly an effect of the perceived need for “newness” in fitness sales. Fred states that HITs’ double-barrelled emphasis on safety and time efficiency makes weightlifting accessible and beneficial for all, something that many other approaches to the lifting of weights and exercise do not. He believes a phoenix-like rebirth will require a positive change in exercise education at the grass roots level (medium- to long-term impact) and/or a significant celebrity endorsement (immediate impact). Fred is certainly doing his part to forward the message of HIT: he has written two popular books on the subject, had interviews featured in the New York Times and the Washington Post, made television appearances on NBC, CNN, ABC and Fox, and includes CEOs, authors, journalists and celebrities, including Tony Robbins and Cynthia Nixon, amongst his clients. A favorite slogan of Fred’s to help convey the message of HIT is “Reform your body, transform your life. Just 30 minutes a week. Guaranteed.” If you are only just now discovering HIT and that message resonates with you then HIT may well be the approach to exercise that you have been looking for all your life. A habit you will be able to stick with. Fred notes, with his and similar approaches to this type of exercise, you don’t have to be in shape to start out with, you can use HIT to start to get in shape. And this can apply whether you are 9 years old or 93 years old: the age range of clients he currently works with. Indeed, Fred’s own daughter started out at just 6 years old! For Fred, intermittent fasting means eating within a single 2-6 hour window each and every day. 4) Intermittent fasting (IF) can be super valuable. Fred is now at the leanest and most muscular he has ever been in his life, at the age of 56 years old. The number of 50-somethings, heck even 30- and 40-somethings who can claim that are few and far between. In addition to regular resistance training he credits intermittent fasting for a large part in aiding in this success. 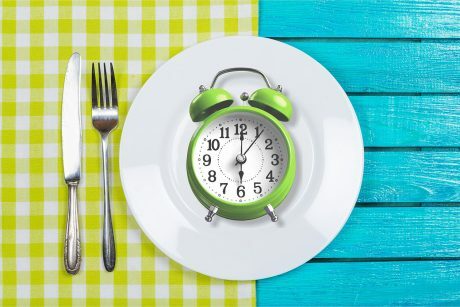 For Fred, intermittent fasting means eating within a single 2-6 hour window each and every day, and when he does eat it is exclusively meat and vegetables. He recommends working out fasted and even suggests continuing the fast after the workout if suitable for the individual, waiting it out until the next planned feeding window. Fred acknowledges that for someone new to this way of eating (and not eating) it may take a little while to become fat adapted initially. 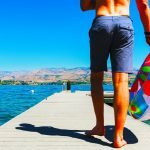 For those motivated to trial IF he suggests starting out by fasting for as long as you feel capable and then eating when your body tells you you need to. If you want to learn more about IF and Fred’s current approach to nutrition, he recommends exploring books by Dr. Jason Fung. 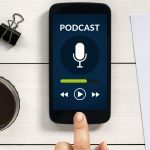 In terms of challenges faced, Fred explains spreading the word that less can be more in strength training and that HIT is an essential physical foundation for all has often been tough. He specifically feels that in the early days he may well have been too rigid and judgemental in communicating his passion and that may well have short-circuited his goal to some degree initially. Fred’s personal highs include overseeing the individual achievements of his clients: helping them move from being physically non-functional to functional is hugely rewarding for him. The impact he finds most rewarding includes coaching obese kids to get lean and strong, and adding active capable years to senior citizen’s lives. A feature on Slow Burn in GQ magazine. 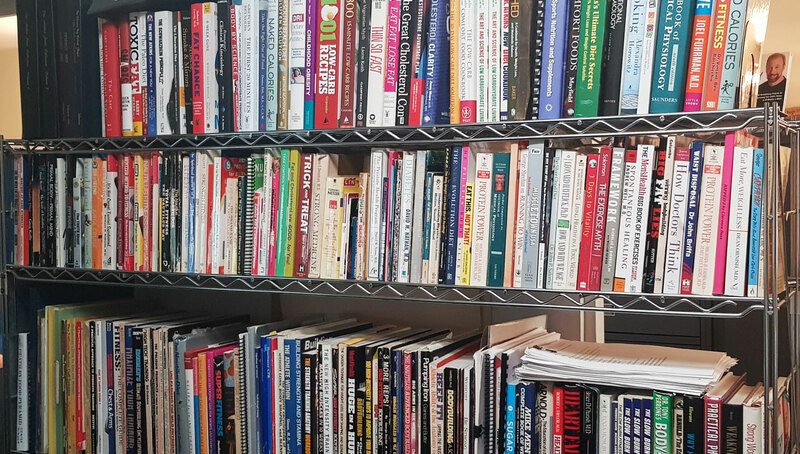 Fred’s extensive book collection on fitness and nutrition. 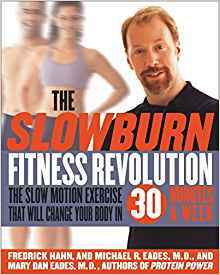 Fred has also enjoyed spreading the message of exercise and nutrition through his writing, particularly through his two books: The Slow Burn Fitness Revolution, co-authored with Drs. Michael and Mary Dan Eades, one of the best-selling fitness books in Random House history and translated into four languages. 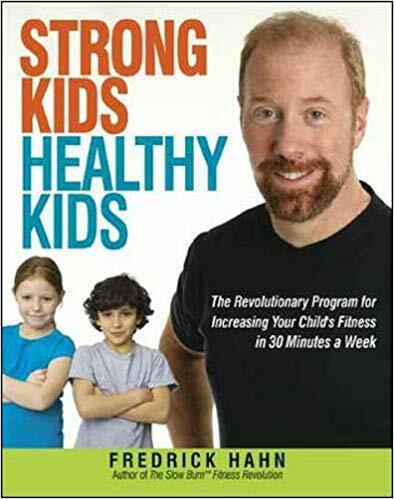 And Strong Kids Healthy Kids, a book that teaches people that weight lifting is a safe and powerfully effective exercise modality for children. Ultimately, Fred is proud of his achievement of keeping his business alive and thriving for 20 years and inspiring many to change for the better with his passion for intense exercise and nutrition. We certainly enjoyed talking fitness with Fred too. Fred has been involved with exercise ever since he became a member of The Charles Atlas Club when he was 10 years old. He began training clients in the early 1980s at several of NYC's leading health clubs, including the Equinox and New York Health and Racquet Club. 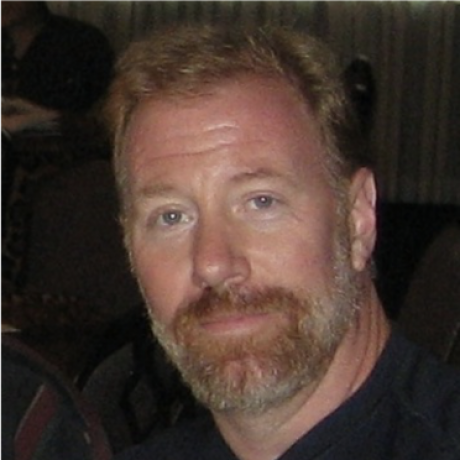 In June of 1998, Fred founded and established Serious Strength Inc., a Slow Burn personal training and rehabilitative exercise center in NYC. His clients include top CEOs, celebrities, bestselling authors, journalists and TV personalities including Tony Robbins, Cynthia Nixon. Read his full profile. Fred is one of the biggest jokes in the industry. He supports nothing he claims, none of his clients come forward to sing his praises (anyone in this industry knows that you can’t keep successful clients quiet… He can’t get clients to talk), anyone that gets results anove what he gets he Immediately accuses them of drug use. This is a man that claims that the most a person can gain is 10lbs of muscle. Smdh. That’s his claim and if he trains you… He is probably right.